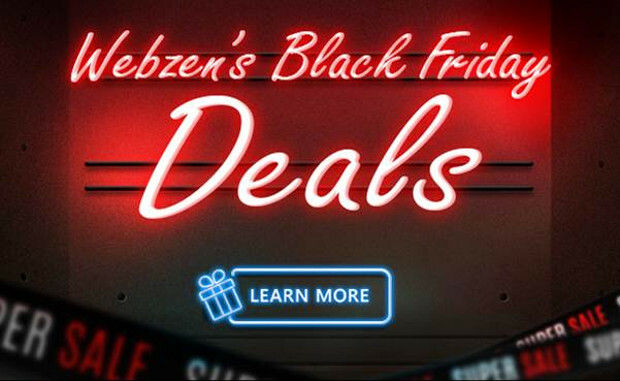 WEBZEN, a global developer and publisher of PC and Mobile games, has launched Black Friday Sales across MU Legend, Flyff, Rappelz, MU Online and C9. MU Legend’s Black Friday discount sale has begun. From today to November 25th, players will be able to get unique items only for 1500 Redzen/Bound Redzen from the Legend Shop. This discount sales includes Talisman Lucky Box, Special Talisman Lucky Box and Radiant Time Traveling Pet Chest. Flyff’s Black Friday deals include a new bundle named Baruna Mystery Box. This Lucky Box can randomly give players two of the following items: Scroll of Rune Socketing Success, Elemental Energizer, Blessing of Baruna, Baruna Grace, Scroll of RProtect, Scroll of Baruna Reversion, Baruna Oblivion, Scroll of GProtect (Baruna), Blessed Baruna Grace, and Ultimate blessing of Baruna. In addition, all items outside of the Special Offers category will have a 50% discount. Flyff also brings back a regular sale Soul Leeching Bead and Special Weekend Bundles. Rappelz offers the new Black Boxes: E-Protect, Blessed E-Repair, Strike and Defense with discounts up to 40% off their respective items. MU Online’s Black Friday is going on now along with EXP 30% Increase & Monster HP 20% Decrease Event, Talisman of Ascension 3 Sales, Scroll Package Discount Sales, Glory Package Discount Sales and Dancing Talisman Box Discount Sales. It will be running until before the weekly maintenance on the 27th of November. Lastly, Black Friday Event continues with Continent of the Ninth Seal. C9 players can join the Survey Event to upgrade their weapon to +16 legendary weapon which will be open until the 25th of November. Along with the upgraded weapon, players will also receive 100 Weapon Ores and Chaos Stones for Magic Amplification and Option changes.